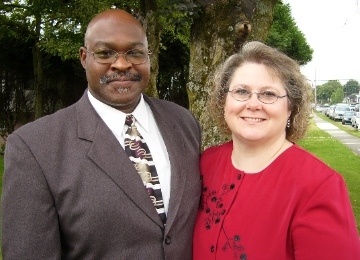 Bishop Franklyn Allen and his wife Linda pastor King’s Way Church. It seemed like bad news when fire broke out at King’s Way Church of God of Prophecy, at 17th Avenue and Kingsway, on the morning of April 21. But the “suspicious” blaze created a series of events that have helped the congregation of 50 to establish new relationships in the Mount Pleasant community where they are located. Kingsgate Mall manager Leyda Molnar has welcomed the King’s Way congregation warmly. For several Sundays the multi-ethnic church has been holding Sunday services in the mall, located at Kingsway and Broadway, six blocks southwest of the church. Then, the arrangement took another bend in the road: The manager of a nearby store complained to mall management that the noise from the congregation’s worship music was a little more than he could tolerate. But Allen said Molnar wanted the church to stay and they are working to adjust the volume of the worship music so as not to bother other mall tenants. He is also hoping to introduce Alpha and Purpose Driven programs and classes during the week, when hundreds of staffers and shoppers are frequenting the mall. “And those programs could be done without the music, which seemed to have been the major objection,” Allen noted. At least one other good experience came out of the mall activity. 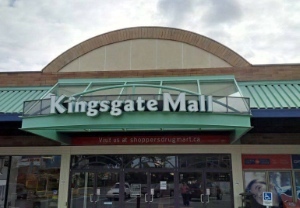 King’s Way is fitting well into its Kingsgate Mall space, holding Sunday services but also looking for other opportunities. “One of the people formerly in our congregation had dropped away and had not been attending. The Lord had been speaking to him about going back to church,” Allen recalled. Allen said the connection with the mall had already been established before the fire, with such things as volunteer gift-wrapping and pre-Easter bake sales. So, in effect, the Alpha and Purpose Driven programs would be an extension of the church’s work, making use of the space. Some in the community are pressing the city to turn Mount Pleasant into a red light district. Allen hopes there are other answers. He suggested it might be time for city and police officials, community leaders and pastors, among others to sit down together and see where the solutions might lie. While it is not clear, yet, exactly who caused the fire, Allen indicated that neighbourhood issues and the blaze might not be unrelated. King’s Way’s congregation should be able to move back into its renovated church building in August. While the actual fire damage was limited, the effect of the smoke was extensive. Restoration people have had to cut holes into the walls, ceilings and roof to investigate and make repairs – the reason the congregants cannot get back in until August. 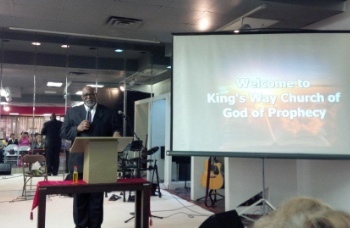 King’s Way is part of the Church of God of Prophecy (COGOP). Allen takes the title of bishop as well as of pastor, by way of overseeing six COGOP congregations throughout BC – four in the Greater Vancouver area, and one each in Victoria and Vernon. King’s Way’s makeup has been drawn from at least 15 different national backgrounds. 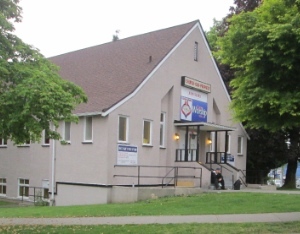 The congregation acquired the present building several decades ago, after meeting for many years in the Victoria Drive area of south Vancouver. Before King’s Way bought its current building, it had been home to the Third Church of Christ, Scientist.